Professor James Van Allen discovered in 1958 that the space environment around Earth was not benign, but rather composed of high-intensity radiation. Engineers and scientists immediately recognized that spacecraft would require design and operations procedures (and therefore costs) that had not been otherwise anticipated. Indeed, while not often recognized, beginning with the era of development of electrical telegraph systems in the early 19th century to today, the space environment around Earth has influenced the design and operations of ever-increasing and sophisticated technical systems. Louis J. Lanzerotti was born and grew up in Carlinville, Illinois. After serving 2 years as a postdoctoral fellow at Harvard University and at Bell Laboratories, he joined the technical staff of ATT Bell Laboratories in 1967. He retired in 2002 and remained a consultant to Alcatel-Lucent through 2008. In 2002, he was appointed a Distinguished Research Professor of Physics in the Center for Solar-Terrestrial Research at the New Jersey Institute of Technology in Newark, New Jersey. He has also served as an adjunct professor of electrical engineering at the University of Florida and as a Regents’ Lecturer at UCLA. Lanzerotti has conducted geophysical research in the Antarctic and the Arctic since the 1970s, directed largely toward understanding of Earth’s upper atmosphere and space environments. He has seven patents issued or filed. He has served as principal investigator or co-investigator on several United States NASA interplanetary and planetary missions including IMP, Voyager, Ulysses, Galileo, and Cassini. Currently, he is a principal investigator on the NASA Radiation Belts Storm Probes mission scheduled for a May 2012 launch. Lanzerotti has also served as a member or chair of numerous committees of the National Academy of Engineering (NAE) and the National Research Council (NRC) of the National Academies. He currently is serving as chair of the Committee on Electronic Vehicle Controls and Unintended Acceleration. In the recently past he served as chair of the Committee to Assess the Safety and Security of Spent Nuclear Fuel, and as chair of the Committee on Assessment of Options for Extending the Life of the Hubble Space Telescope. 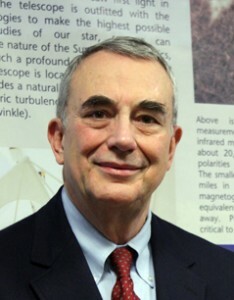 His past NRC responsibilities include chair, Space Studies Board; chair, Army Research Laboratory Technical Assessment Board; and chair, Decadal Survey of Solar and Space Physics. He served on the Vice President’s Space Policy Advisory Board, 1990-1992. He has co-authored one book, co-edited four books, and is an author of more than 500 refereed engineering and science papers. He is founding editor for Space Weather, The International Journal of Research and Applications, published by the American Geophysical Union.